I use AnyDVD HD to help me analyse DVDs, Blu-ray discs and HD DVDs. However it hasn't been of as much help with determining the region codes of Blu-ray discs as it has been with DVDs. I raised this on the AnyDVD HD forum and one of the developers advised that apparently the programming of Blu-ray discs is so hard that it can be very difficult to determine for certain what the Region code of these is. Fair enough. Meanwhile, someone suggested that I check the back of the disc box to determine the Region Code. I replied that this is unreliable. Sure, disc distributors try their best, but they frequently do get things wrong. Take easily checkable things, for example. 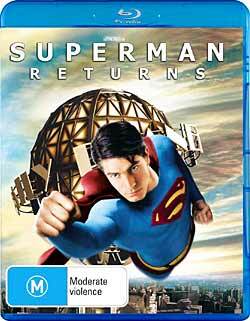 I have all three of the versions of Superman Returns that were released in Australia: PAL DVD, HD DVD and Blu-ray. All three have errors of fact on their packaging, a different error in each case! One got the audio standards used wrong, one got the program length wrong, one got the video quality on the special extras wrong. I even have a special text field in my disc database for recording the errors! There is not much incentive for movie distributors to get region coding correct. The only thing they need do is assure purchasers in the areas in which they are sold that they will work with local hardware. one is Region A, but has Regions A, B and C marked on the back! I write equipment reviews for a living. I am always somewhat skeptical of manufacturer specifications. That extends to discs. Does anyone know of a tool which allows you to take full frame grabs from Blu-ray and HD DVD on a Windows platform? You can't do it with PowerDVD (although this does provide it for DVDs). I would love to fill these pages with DVD vs Blu-ray comparisons, but don't have the capability of doing so, short of photographing a screen. I've done that for magazines, but it is far too time-consuming to do for this free site. UPDATE (Monday, 28 July 2008, 9:21 pm): Reader Geoff suggests Arcsoft Total Media Extreme. I've downloaded the trial version, and shall install it when I reckon I might have a few days straight to test it thoroughly before deciding to commit (it has a 15 day limit). Reader Graham wrote to suggest either a straight PrtScn key press, or several alternative screen capture programs. The first simply doesn't work. Whenever the latest version of PowerDVD is playing, it blocks out this screen capture technique (not that it ever worked even with DVDs - the playing DVD was dealt with as an additional video layer which wasn't captured with PrtScn). I may yet try the other screen capture programs, but it niggles me a bit because I don't really want to capture what PowerDVD chooses to place on the screen, but the content of the picture before any processing. I place quite a bit of weight on the 'User Rating' figure on IMDB. For as long as I can remember, the top three places have been occupied by The Shawshank Redemption, The Godfather, and The Godfather: Part II, with the first two occasionally swapping places. As I write, The Godfather is slightly ahead, although both have a score of 9.1 on the IMDB Top 250 list. Both score 9.2 on their own home pages. The reason for the difference is that only 'regular voters are counted for the Top 250 list. When a new movie appears, especially a widely viewed one, it tends to overshoot a little on first entry and then more considered votes over time draw it down a little. For instance, The Simpsons Movie launched straight onto the Top 250 list with an eight-point-something. Within a few weeks it had fallen off and by now it has settled on a reasonable score of 7.7. But what am I to make of The Dark Knight? After its opening day it already has 23,000 votes and a User Rating of 9.7! Even from regular voters it scores 9.5 and is thus on top of the list. It will be interesting to see how it progresses, and if it maintains the number one position. At the moment, 80.8% of the voters have given it 10/10. UPDATE (Monday, 21 July 2008, 12:57 pm): Voting on The Dark Knight is now up to nearly 47,000. The User Rating remains on 9.7. The proportion voting 10/10 has declined slightly from 80.8% to 80%. UPDATE 2 (Tuesday, 22 July 2008, 10:29 pm): The descent has commenced. Now with over 69,000 votes The Dark Knight's User Rating has slipped to 9.6 (it remains on 9.5 on the Top 250 list). The proportion voting 10/10 has fallen further to 78.4%. Mind you, nearly 95% of voters have given it 8/10 or better. I haven't seen the movie, but I do have to wonder: what's up with the 2.2% who've given it 1/10? Using the 'Hated It' filter for user comments revealed quite a few thoughtful comments from those voting 1/10. I get the impression that the actual figure voted by these people was less a considered judgement about the film that a protest vote against its strong showing. UPDATE 3 (Wednesday, 23 July 2008, 10:06 am): The descent continues: 91,097 votes, User Rating 9.5 (9.4 on the Top 250 list). The proportion voting 10/10 is now 76.8%. Those voting 1/10 is 2.6%. Older people seem to be less enthusiastic about the movie, as are IMDB staff and the 'Top 1000 Voters'. UPDATE 4 (Thursday, 24 July 2008, 9:52 pm): The rate of decline slows: nearly 105,000 votes, User Rating remains 9.5 (and 9.4 on the Top 250 list). The proportion voting 10/10 has fallen further to 75.8%, while those voting 1/10 has increased to 2.9%. My guess is that the movie will settle on 9.5, or possibly 9.4, at least for the next couple of months. It may drop again significantly after it is introduced to a new audience when released on DVD/Blu-ray. UPDATE 5 (Friday, 25 July 2008, 5:17 pm): We are now at 115,000 votes and still the User Rating sits on 9.5 (9.4 on the Top 250 list). The proportion voting 10/10 is now 75%, while those voting 1/10 amount to 3.0%. UPDATE 6 (Monday, 28 July 2008, 9:50 am): Skipped a couple of days. Now it's Monday and the voting is at 146,000. According to Box Office Mojo (www.boxofficemojo.com) , The Dark Knight made $US75.6 million at the US box office in this, its second, weekend. That was more than double the next place on the income ladder. The User Rating has slid to 9.4 (9.3 on the Top 250 list). The proportion voting 10/10 has slipped quite a distance to 71.8%, while those voting 1/10 amount to 3.2%. UPDATE 7 (Tuesday, 29 July 2008, 12:11 pm): Vote: 156,000. User Rating (front page): 9.4. User Rating (Top 250): 9.3. The proportion voting 10/10: 70.8%. Those voting 1/10: 3.2%. UPDATE 8 (Thursday, 31 July 2008, 11:53 am): Vote: 173,000. User Rating (front page): 9.3. User Rating (Top 250): 9.2. The proportion voting 10/10: 69.1%. Those voting 1/10: 3.3%. UPDATE 9 (Thursday, 7 August 2008, 8:45 am): Vote: 207,000. User Rating (front page): 9.3. User Rating (Top 250): 9.1. The proportion voting 10/10: 66.2%. Those voting 1/10: 3.7%. The excellent Blu-ray section of High-Def Digest is a frequent stopping point for me, especially its reviews. The reviews are usually pretty well done, but they do contain the odd error, often due to the difficulty of obtaining valid information in these early years of high definition video. Warner gives us another 1080p/VC-1 encode, and it's on a BD-50 dual-layer disc to boot. In raw tech specs, that gives it more room to play around in than its HD-30 dual-layer HD DVD counterpart. 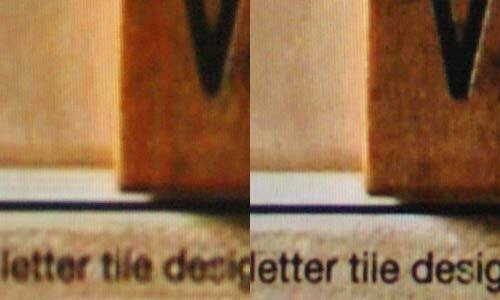 Picture quality-wise, however, it is another wash between the two formats. I picked a few scenes to compare fine details, including Clark's visit back to Smallville, the fabulous "Lois rescued from fiery airliner" crash and Superman getting the poop beat out of him by Lex and the gang. Both the Blu-ray and HD DVD deliver excellent pictures, and I'd be hard-pressed to find any Superman fan who would be disappointed. This is a perfectly reasonable supposition. We're talking about a 154 minute movie here, so you'd reckon that you would encode the movie for maximum quality, given the space available. That means you'd do two encodes: one for the limited space available on HD DVD (30GB for two layers), and another for the greater space available on Blu-ray (50GB for two layers). Perfectly reasonable, but entirely wrong. Certainly the Blu-ray is a dual layer disc, as is the HD DVD. And the HD DVD has the same content as the Blu-ray, plus a Dolby TrueHD audio track omitted from the Blu-ray. At an average of over 2Mbps, this must use well over two gigabytes all on its own. But here's the thing. The entire content of the HD DVD version amounts to 27.48GB. While that for the Blu-ray version totals 26.92. I'm going to assume that Blu-ray has slightly higher overheads than HD DVD, because to me it looks like an identical encode was used on the feature for both. I'm not saying anything is wrong with that. The picture quality looks pretty good to me. But I do wonder if it may not have been even better had an extra ten or fifteen gigabytes been devoted to the video, rather than being left unused on the disc. Of course, you wouldn't know that unless you had some way of examining the discs. I presently have an LG BE-06 Super Multi Blue disc drive plugged into my computer (no link on LG's website for some reason), and this allows me to do just this. I was planning to write a little about how packaging errors are creeping into Blu-ray as well, but in doing so, things suddenly got complicated. You see, there are a dozen deleted scenes on both versions of this movie amounting to about 16 minutes of run time all together. Both, according to the packaging, are presented in '1080p High Definition' (see photo above from the Blu-ray box). But I noticed that they pretty clearly were not. In fact, they are presented in 480i. Not just in 480i, but in 480i30, so that two out of every five frames are actually composite frames made out of two adjacent film frames. That was the point I was going to make. Silly Warner Bros, getting that wrong. But then the thought occurred to me: what about the HD DVD? So I checked, and its deleted scenes are indeed presented in 1080p24. In fact, the Blu-ray uses MPEG2 encoding at a fairly low bitrate for these in its 480i presentation, while the HD DVD uses VC1 at in excess of 10Mbps. The picture shows a photo of a section of one of the special extras. The part to the left is from the Blu-ray and that from the right is from the HD DVD. So now I'm puzzled. If WB wanted to save money by just doing the one encode on the feature, why would it do a separate encode for some of the special features? Or did it simply lift the extras from the US special edition DVD? These all appear on Disc 2 of the Australian DVD release (in PAL format, of course). This isn't the only 'Superman Returns' packaging error. The back of the HD DVD says that the run time for the movie is 151 minutes when it is, as correctly stated on the back of the Blu-ray, 154 minutes. Even the PAL DVD gets it wrong. It says that the sound for the feature is in 'English 5.0 & English 2.1' when clearly they mean 5.1 and 2.0. They are only the things that kind of leapt out to me.